Kids often give and get tons of V-Day cards during February. Where should they keep them all? You can help them with this problem by creating a mailbox. You can use a cardboard box and decorate it with construction paper, marker and glitter glue. Use pipe cleaners to make a flag to indicate there is new mail in the box. The kiddos will love showing you their creativity and you'll get a kick out of seeing their excitement and handiwork. Before they head home, slip your very own Valentine into each mailbox so they get a surprise when they next open it. Store-bought cards have lovely sentiments and look good, but it's way more fun to make your own. Gather child-safe scissors, glue sticks, googly eyes, construction paper and markers so you can have your own little Hallmark factory at home. Teach your grandkids how to cut out hearts by folding the page in half from the center and then cutting out just one half of the heart to make it even. Make a new tradition of baking sugar cookies together for V-Day. 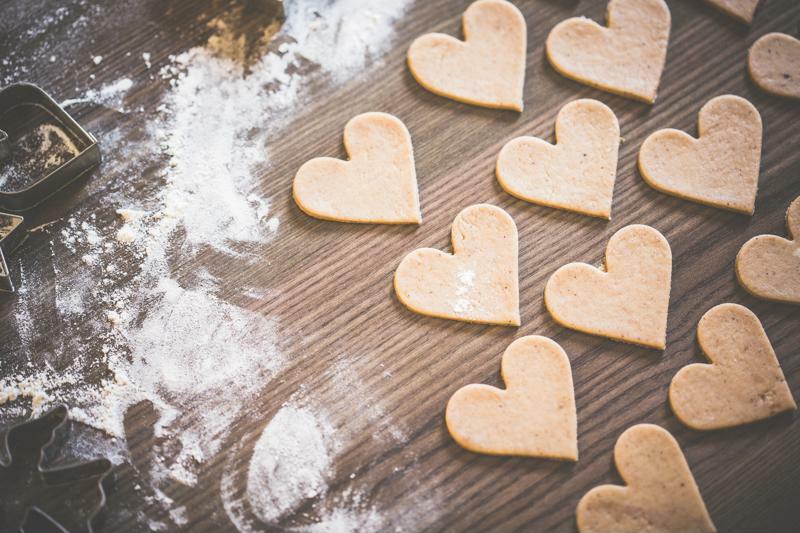 Baking is another family tradition many people love about Valentine's Day. You can teach little ones to make heart-shaped sugar cookies and decorate them with pink and red icing and decorative sprinkles. Or, get even more creative by making donuts together, or dig into an ice cream sundae with vanilla and strawberry ice cream topped with chocolate-covered strawberries. Valentine's can be a tough time for those who have lost their loved ones. It's a great opportunity to talk about those who have passed with your grandkids. For example, you might enjoy telling the little ones about their grandmother's amazing spaghetti, or the time she made you laugh so hard milk came out of your nose. V-Day is all about spreading the love, and what better way to so than to tell stories about the people you care about? Valentine's can be a wonderful opportunity to volunteer with your kids and grandkids. Consider making cards with teens at a local youth center together. Or, head to an animal shelter to walk the dogs and play with the cats. You could also find volunteering opportunities through your church or local library. Giving back is a great way to spread some love and make wonderful memories. Valentine's decorations can liven up your apartment or your grandkids' rooms. One of the best parts of a holiday is the fun decor. Deck out your apartment with the help of your grandkids! 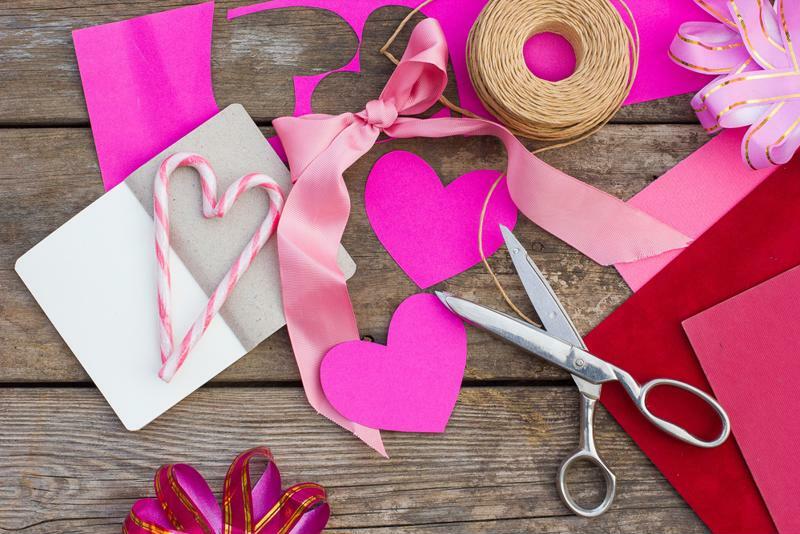 Create heart-shaped streamers and hang up beloved V-Day cards from years past. And don't forget to put out a mini mailbox so your neighbors can give you Valentine's cards and treats! You could also move this shindig to your kids' house so you can help your grandchildren decorate their own bedrooms. They'll love taking full advantage of this fun holiday by beautifying their rooms. It's true that not everyone has loved ones around to give them treats and send love on Valentine's Day. You can spread your family's joy by making and handing out Valentine's together. Make the rounds in your assisted living community passing out heart-shaped cards and sugary goodies. Just make sure no one gets left out!